This post was inspired by six-year-old Sweet Boy and his wish for Pes (Peace) to the World. If you want to be important—wonderful. If you want to be recognized—wonderful. If you want to be great—wonderful. But recognize that he who is greatest among you shall be your servant. That’s a new definition of greatness. And this morning, the thing that I like about it: by giving that definition of greatness, it means that everybody can be great, (Everybody) because everybody can serve. Excerpted from Dr. Martin Luther King’s speech The Drum Major Instinct. While living in Georgia I had the privilege to visit the Martin Luther King, Jr. National Historic Site in Atlanta. I took my daughter, and her best friend, both 16 at the time because I felt it would be a moment that could affect the rest of their lives and how they lived them. It was lovely to see the home he was born in and the church where he preached, but it was the images in the Civil Rights Walk of Fame exhibition that changed us all. 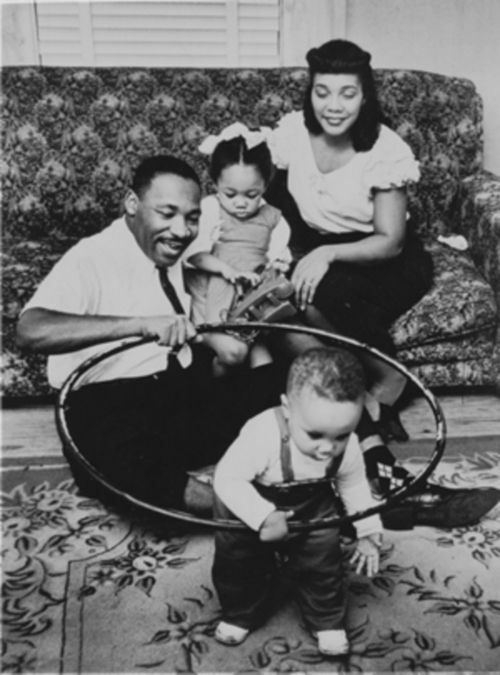 Images that reminded us that Dr. King was not just a civil rights leader, minister and Nobel prize winner. He was a husband and his wife loved him deeply. He was also a devoted father. 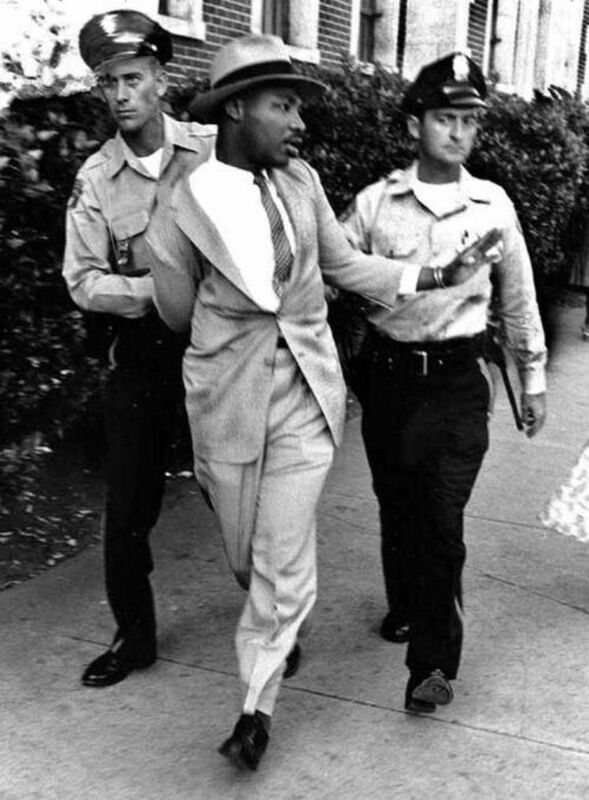 But it was images such as this (and much, much worse) that made me fully understand why Dr. King never gave up hope and ultimately gave his life, striving for peace. He desired a world in which his children, and other people’s children, no matter what their color, could live together in peace and harmony. My son is currently studying Dr. King in school. Sweet boy is in 1st grade and he has a dream. Thank you so much for sharing these pictures and your son’s letter is so sweet. Beautiful post. I love that you used your son’s words in your post. This is going to be remembered for a life time! Powerful words from your son this morning. That is adorable!I enjoyed seeing the pictures in this post as well. I had never seen those before! Powerful words for us all to remember on this MLK day. Thanks for sharing your son's precious letter with us and the great pictures. We must remember, we are all children of God!Have a wonderful week!Love & blessings! Beautiful and innocent. How nice the world could be if…..
May your son have his dream realized. Thanks for sharing such a moving post on this special day. Sounds so simple, doesn’t it?“Pes” to you and yours as well.Thanks, Laura. So true. I’m glad that we honor him with a day of the year. He was truly an inspired man. And I love that this day is falling so near the day that President Obama is being sworn into office. These United States are making progress! Love this post! Probaly one of my favorite blog posts ever. Your son seems to know what it is all about. Yay for him.On the humourous side, when I was your son’s age, I would call this day King Martin Luther day. Great post! Oh, your sweet little guy! I would frame that one. Your sons words brought tears to my eyes….thanks for that article. What a wonderful post. I love your son’s letter. Ian has a beautiful dream and I pray that some day his dream will come true! Children are so smart!I love this post! Your son’s innocent words are truly touching.Greetings from Portugal. Such a beautiful post! I love the photos and quotes.